Once secluded in the physical barriers of cartridges, discs and logistical bureaucracy, the gaming industry has been extraordinarily successful in using digital technology to constantly reinvent itself. Suddenly, it is now mobile, accessible, and quick - and has gained reach to markets and followers that technology enthusiasts have always dreamt about. With the creation of complete new and engaging forms of entertainment, gaming has become one of the most popular and lucrative branches of entertainment in today’s society. Gaming is now more than just games. Thanks to its creative nature, the gaming industry has turned into a catalyst of innovation for numerous industrial and technological sectors, making it extremely attractive to venture capitalists around the world. For investors, the versatility of gaming translates into opportunities that are limited only by imagination, and the partner you choose. Why Invest With Magic Bytes? 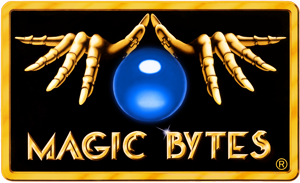 Magic Bytes is a one of a kind network, connecting creative minds from across the globe and serving as a conduit between technology professionals and the gaming industry. Magic Bytes offers venture capitalists a unique opportunity to invest not only in the fast-growing industry of gaming but also in technology. When investing in the gaming industry, it is important to understand that your investment is not as short-lived as the life-span of just one game. Your investment is actually in the technology used to develop games, which opens doors to more business opportunities. For example, gaming engines and concepts can often be re-used for additional projects. Special editions of previous releases can be produced for marketing campaigns of well-paying clients. At Magic Bytes, we have investment opportunities for varying interests. For example, some industries are more interested with simulation technology for training purposes (i.e. using Virtual or Augmented Realty.) Book publishers want to use our technology to bring their vast content to life. In other circumstances, schools & universities are interested in providing STEM education using technology and/or hardware like our Gaming & Computer Lab. And of course we can’t forget about the investment opportunities with the ever-growing sector of eSports, which has an U.S. audience that is now larger than that of the National Football League. Our diverse team is made up of industry professionals around the world with a long history of game design & development, localization, and international licensing & marketing. Our marketing and business growth professionals identify and prioritize the right target audiences & platforms, monetization options, production timelines, and potential risks & concerns. Time intensive tasks are our specialty. Our unique business model with a focus in outsourcing boosts our creative repertoire and results in lower overhead and development costs. While our business model consists of taking an opportunistic approach in designing products that we truly believe in, we always consider and encourage feedback early on in the development cycle of a project. After all, what kind of Technology Company would we be if we didn’t observe and adapt to trends? Our “lean” business model is aligned with our “Keep Gaming Human” approach through targeting specific goals to make a positive social and economic impact on the gaming community. As many startups do, Magic Bytes has funding coming from several different sources. We take advantage of available federal subsidies, grants or other incentives to develop our work. Our goal is to expand our services much further by offering project-related investment opportunities, notably to strategic venture capital from Asia, Europe or North America. The gaming industry has a lot to give and investing with Magic Bytes is a great opportunity to become involved in cutting-edge technology. Make an impact on something huge and join our fast growing team in the early stages of development.